You know those feelings after working out, sweaty, glowing, usually buoying with more confidence, happier, and generally more full of energy? I love it too. I also totally admit to, in moments, despising the workout process itself when something is particularly challenging. Afterwards though, I am almost always glad on having swallowed such thoughts of nearly giving up, happy that I pushed through, feeling joyous and powerful in the exercise afterglow both inside and out. Because even while the process of working out is not always the easiest nor the most fun, having a body that feels strong and healthy, feeling generally fit and good within your own skin, knowing you are your best self/a healthy weight, and are actively and mindfully taking care of yourself, is an awesome and very worthwhile feeling. 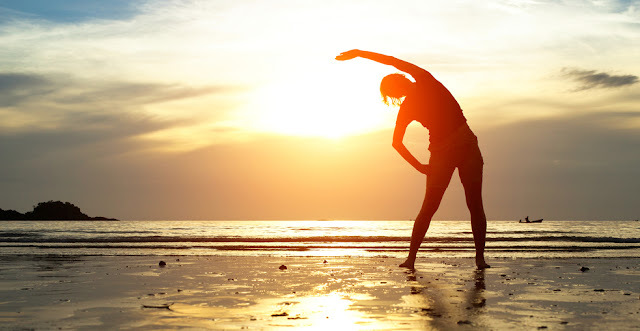 This lending towards living both your happiest and healthiest life. With more energy, your mood generally more positive than not, with clearer skin, feeling generally more attractive and better about yourself, lower risk of disease both now and later on in life, the list of benefits to caring for ones health going on. Still not fully convinced? Believe it or not, working out can be fun. If doing the right activity, something you enjoy and even more ideally, with a friend or loved one, this makes working out something to look forward to and delight in. Both, the way it makes your body feel, spending time with the particular loved one or friend (in on it together, sort of thing), and doing an activity thats fun together. Below, I bring you several fun/unique workout ideas worthy of scoping out! 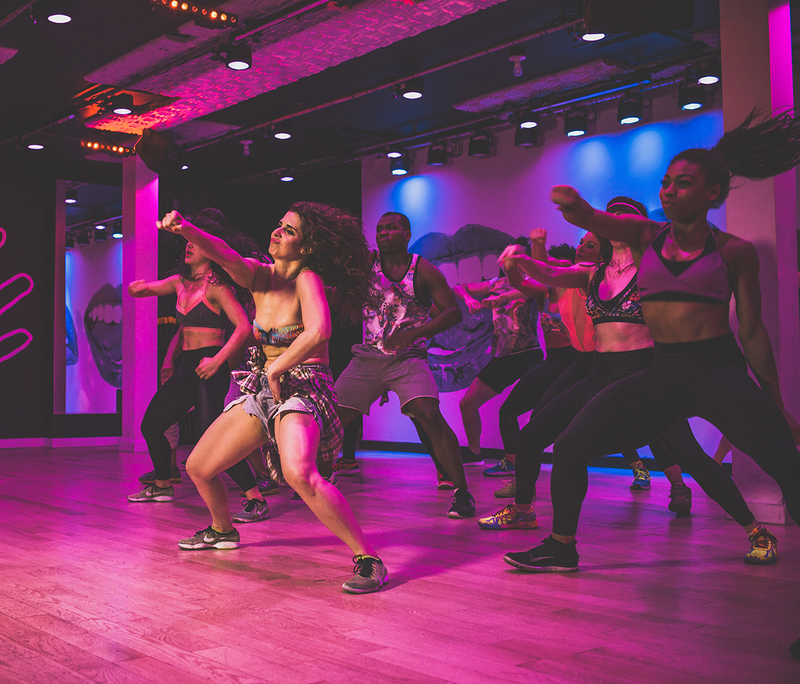 In my recent sampling of several Boston workout classes, here the ones Ive most enjoyed, as well as unbiased reviews of different studios throughout the city. South Boston Yoga at 36 West Broadway Street (Red Line T Stop: Broadway). Ive attended both Hot Yoga and Pilates here. Hot Yoga, I love. Its difficult while feeling surprisingly awesome. Shockingly, even after sweating a lake, you walk out light, refreshed, bouncy, and even joyous. Never would have thought, especially since those close to me will tell you, I loathe the feeling of being icky/unshowered/really sweaty. But this class is fabulous. Three teachers I really like for the Hot Yoga at South Boston: Christine is great (though she sometimes talks a tad too much at the end during cool down, when you just want to lie in silence without her voice continuing in the background), however, of the four teachers whom I have experienced in this class, JoJo was my favorite. This song which played during class, emotionally moving and powerful playing whilst shifting into varying positions, everyone in silence. Together as a group on the surface, though at one with your own mind and body. The Pilates teacher I experienced was Kara and I didn't love her teaching aura. I found her to be militant and a bit brusk. Not so much motivational pep, more of a pushy/edgy aura. While I enjoyed Pilates (damn, was it hard. Great on the abs), I wouldn't take a class with Kara again. All in all, highly recommend South Boston Yoga. In my mind, too expensive to become a regular member there but certainly worth dropping in once or twice a month for a rejuvenating, detoxifying hot yoga class. Barre3 South End at 1511 Washington Street (I took a bus here). In an attempt to be unbiased, I am going to include some potentially negative points even though generally, I had an awesome experience here. The teacher, Jaime, was extremely friendly and helpful. She approached me numerous times to help guide and correct my form. I found her to be enthusiastic, warm, and personable. The music in class was motivating and pumping. The studio was bright, gorgeous, and I believe free child care is offered on site. The drawbacks: way too expensive- would never buy a membership here. The studio vibe, while warm and inviting, was also pretentious and hoity toity. Not so much my vibe personally, so I dont think Ill be going back. In general though, I recommend the class here. Beat Barre at C2 Body at 840 Summer Street (I walked here from my boyfriends apartment). LOVED this place. The studio is funky and atmospheric. Cozy, inviting, with exposed brick walls and a slightly glam, laid back cool aura. The class was difficult, but not too much so, all while engaging and fun. The teacher, Dairine, I liked very much. She didn't correct/hover too much, but did so enough that I felt I was doing things correctly and thus, getting the most out of the class. Also, loved some of the music during this workout. Specifically, this song was awesome as it played while we were instructed on doing planks. I would absolutely go here again and highly recommend it. 305 Fitness at 699 Boylston Street in Boston (Green Line T Stop: Boylston). This class was phenomenal. Totally wild, full of energy, challenging, and loads of fun. Just, whoa. With a live DJ, light show (almost like being inside a club of sorts) and thumping music. I had a smile plastered on my face the entire time. Probably my favorite workout class in Boston Ive sampled thus far. This was an absolute blast- all up until I landed on my ankle wrong and heard it crunch, sending me to the ground hard. Crushing both my heart and ankle in the process, as I was so reveling in the class. My friend, Sarah and I doing this as an activity together, which I had looked forward to with bated breathe all week. Once my ankle heals (its been over a month and is still messed up), I cannot wait to go back. Side note: dont let my reporting of said injury detour you. It was a one off and could have happened to anyone, at any time, in any workout class. I would absolutely do this class again and cannot recommend it enough. SO much fun. 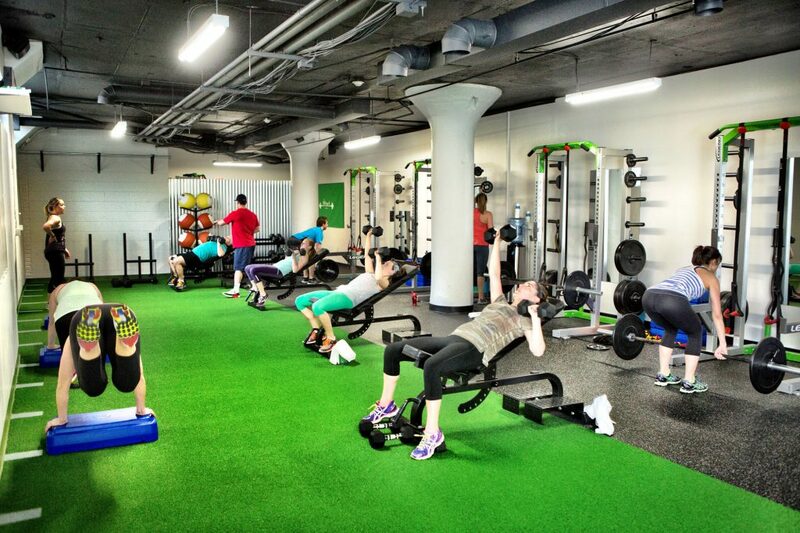 Lifted Fitness at 803 Summer Street in Boston. This gym is unique in that there isnt a space to go and lift weights/work out freely as you desire. Instead its entirely class based. Mostly either strength or conditioning classes, these are varied, challenging, and generally great exercise. Ive gone here a couple times with Maxx and was struggling, the workouts difficult, though I really enjoyed it and got an awesome workout. The downsides of this gym: obscenely expensive and, in my mind, not worth it. Especially when you cannot go there freely and do your own workout (as an aside to classes). Also, you have to sign up for classes ahead of time, and you may or may not get in. When paying as much as you do, you should be able to go anytime you like. Period. And finally, if you miss a class there's a $10 charge. For a gym that costs $200 per month (just think, in 3 months, thats roundtrip airfare to Europe instead), this all seems rather inconvenient to me, as well as unfair when already paying up the wazoo. I recommend this place for dropping in once or twice a month for an awesome workout, to shake up your usual routine. Though not so much for a regular membership. Too much yellow tape involved. Barre & Soul at 36 John F. Kennedy Street in Cambridge (Red Line T Stop: Harvard). Aside from 305 Fitness, this is my close second favorite thus far. Specifically I took the Barre & Soul class with Jenna and loved it. Found her to be peppy, encouraging, and personable, without being over the top. She corrected my form, though I never felt she was too forthcoming. The music in here was encouraging and upbeat. Really liked a couple of the songs especially, though I wasnt able to get their titles/artists. The studio space is beautiful. Exposed brick painted white, bright, shining wood floors, windows looking out on Harvard Square, cozy and intimate. 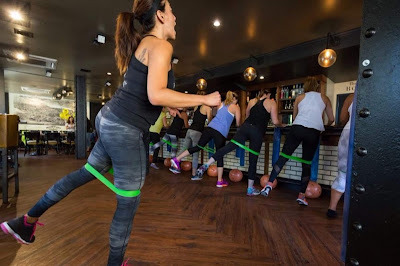 I highly recommend checking out the Barre & Soul class here, lots of fun and a great workout. 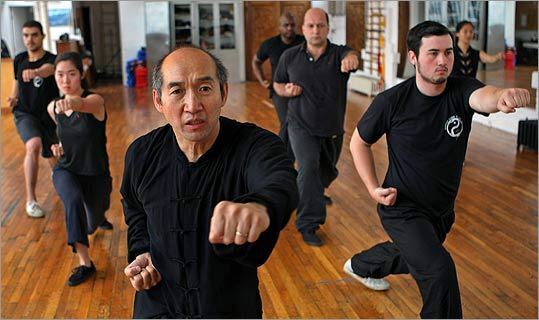 Boston Kung Fu Tai Chi at 883 Boylston Street (Green Line T Stop: Copley). I took classes here about 7 years ago, with a friend, Lauren. Never would I have anticipated my being drawn to a Kung Fu studio, nor even further, liking it. But like it I did. Returning several times a week for the duration of nearly a year. The workout here is a great one. Challenging, varied, but do-able. The teachers are attentive, taking time to work with each student one on one for a bit. By the time I left, I was training with swords! Still regretting having left when I did, though the main reason being that the studio is pricey (however back when I was a member, classes were $100 per month of unlimited classes. Now the price has gone up by $50!). Regardless, I highly recommend this place. Even if you just drop in for one class every once in a while. The instructors here train Steven Tyler from Aerosmith, as well as Giselle Bundchen (Tom Brady's wife and Victorias Secret model). Conclusion: take active care of your health, improving your life in numerous ways in the process, and go get your workout on!!! An awesome tip for how to do this cheaper: I highly recommend giving Classpass a chance as an affordable way of sampling a handful of classes that interest you throughout Boston. Pay $65 and take something like 6-8 classes in one month, with hundreds of different classes from which to pick. From Barre to Yoga, Strength Training to Dance, Outdoor classes to Cycling, Boxing, or Rowing. You can find all sorts of cool stuff on here, pertaining to all fitness levels and interests. ClassPass allowing for the chance to check out what might most appeal to you.